In October 1970 I got my Drivers Licence and my first car, a 1949 Ford Prefect for $100.00. During 1971 I spent some time in my mate's brother's HG V8 panel van and around this time panel vans were the latest and greatest thing for young blokes to get around in. After spending some time looking for a second hand K, T or G van and finding that they wanted near new price for them my brother Doug (who worked for GMH at the time) said “Why don’t you buy a new one” So with Doug’s help that is exactly what I did. In late December 1972 I purchased a bog stock brand new HQ Belmont panel van, 173 with 3 on the tree, I still have the van and she serves me well as my daily driver. 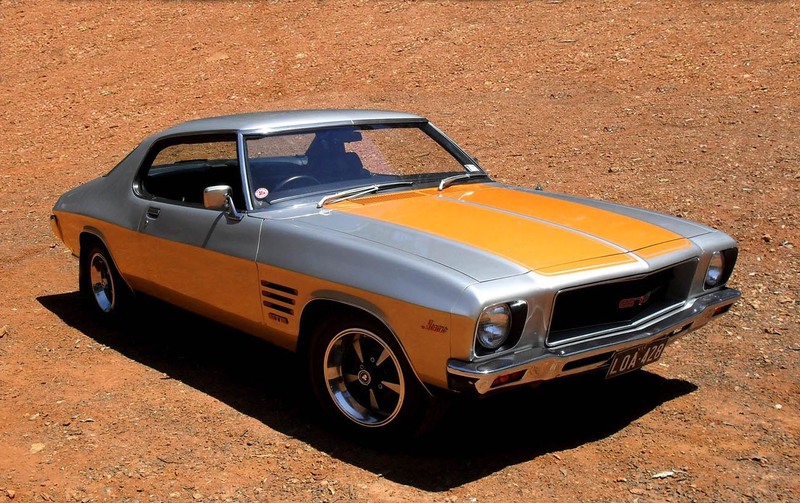 Not long after I had paid off the Van I started to realise that I really wanted a Monaro, but I could never afford one until around 1992 when I had finally saved enough money and started seriously looking for one. Over the next 4 years I must have looked at over a dozen cars but none were really what I wanted. Then in March 1996 I saw an ad in the Trading Post that looked very interesting. I rang the number and the guy said come around and have a look. After talking to me for half an hour or so, I assume he deemed me worthy of his car, and we drove around to his lock up factory in Moorabbin to see the car. On first sight I thought the paint looked a little dull then I realised that was only because it was covered in a thick layer of dust. I fell in love and had to buy the car. LOA 428 was a totally original HQ GTS coupe 308 T-bar Sable Metallic with The Lone O’ranger stripes. And was in pristine condition, so a quick drive to the bank to secure the funds and a deal was done, I finally had my Monaro.